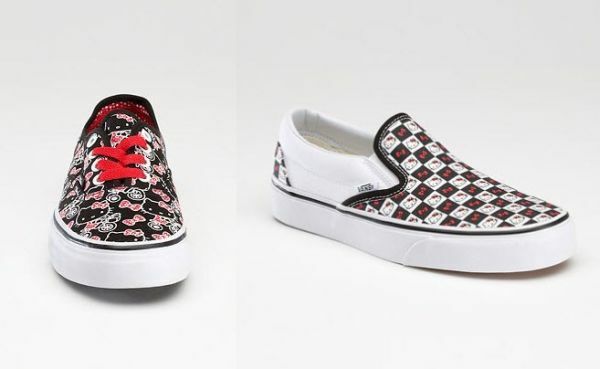 Feel like some mother and daughter Hello-Kitty-matchy-matchy time? Then slip into Vans. 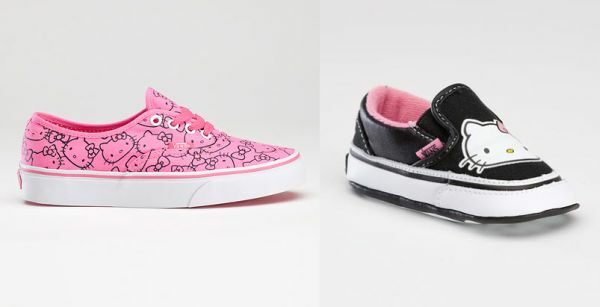 Casual footwear giant, Vans, have teamed up with the world’s favourite feline, Hello Kitty, to create a range of purr-fect footwear for toddlers, kids and mums! For Hello Kitty fans, it will be a question of whether you co-ordinate with your little one in red and black combinations or go all out in lolly pink. My personal favourite? The multi-coloured high tops – sure to cause a stir at the kinder drop-off. 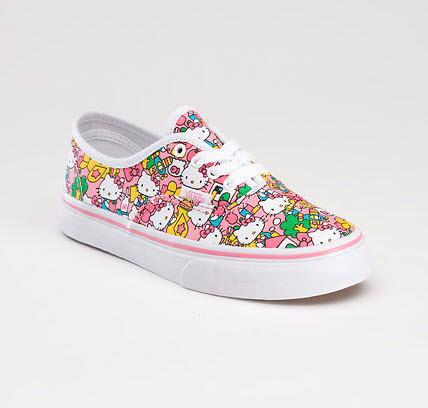 Hello Kitty Vans haven’t reached Australian shores quite yet but stay tuned. If you can’t wait, organise a freight forwarder and know that toddler shoes range from US$25 to US$32, kids shoes are US$37 and women’s shoes range from US$50 to US$55. 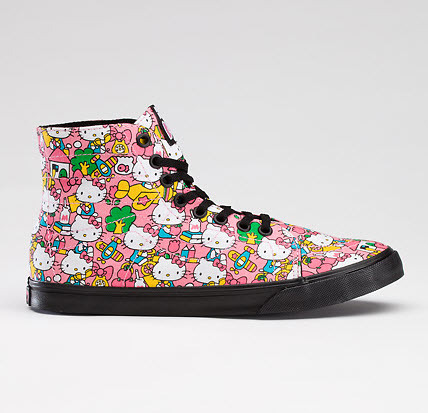 Want more Hello Kitty? Check out our previous posts – there’s everything from Hello Kitty houses and prams to maternity hospitals and bottled water!